Pres.elect Rodrigo Duterte announces his plan to abolish rice import just few days ago that will be of big help to Filipino. One of the main benefits of abolishing imports of rice is the price drop of rice that will be more affordable to consumers. 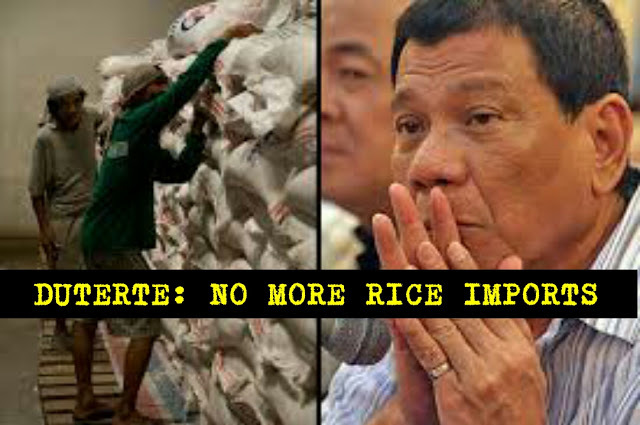 Abolishing import rice will reduce the need for attaining higher wages ang will result to patronizing own country's product. Pres.Rodrigo qouted"₱15 yan lang dapat ang presyo ng isang kilong bigas.Mga pesti kayong smuggler"
If this latest announcement of Pres. Rodrigo will be enacted, a lot of Filipinos will really be given a greater opportunities and hope.